Today I want to share my thoughts on the much-raved product. 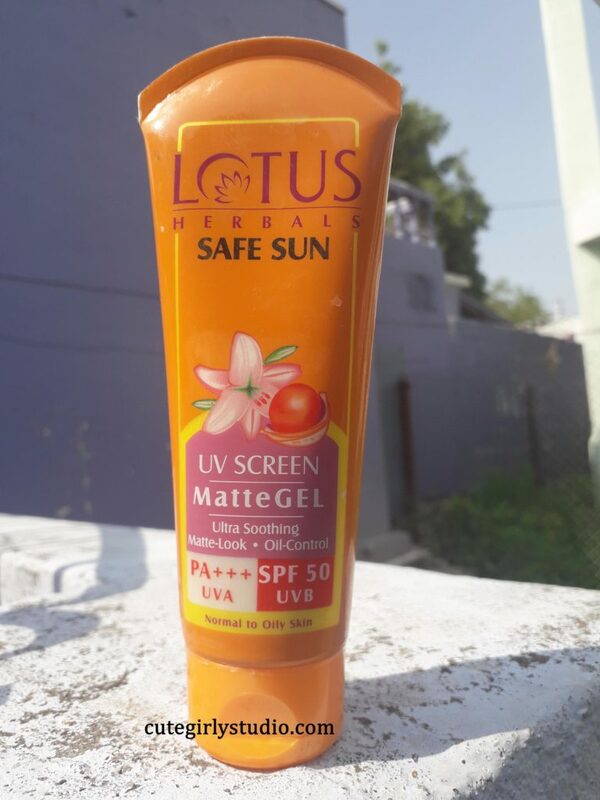 It is none other than the Lotus Herbals safe sun UV Screen matte gel with SPF 50. I read many positive reviews before buying this and so without any second thought, I bought this hoping that this will suit my oily acne prone sensitive skin. I know this is a deadly combination but I try my best to keep my skin free from acne and other skin issues. I just hate this product to the core. An innovative sunblock which is totally non-oily and provides a fresh and clean finish to the face, neck, and hands. It protects against all forms of sun damage: suntan, sunburn, premature aging & skin cancer. Water, Phenylbenziamidazole Sulfonic acid, Sodium Polyacrylate (and)Ethylhexyl Stearate (and) Trideceth-6, Cyclopentasiloxane and Dimethicone crosspolymer, Cyclopentasiloxane, Triethanolamine, Symphytum Officinate(comfrey extract), Vanilla plantifolia (Vanilla) Extract, Horse chestnut extract, Methylchloroisothiazolinone and methylisothiazolinone, 2-phenoxyethanol, Aluminium Starch Octenylsuccinate, Methyl Paraben, Propyl Paraben, Fragrance. You can see that it has numerous hazardous ingredients. I’m not against any brand but I just wanna share my thoughts on the ingredient list. All the ingredients are checked with skin deep database. The Lotus herbals safe sun UV screen matte gel comes in the orange color flip flop tube. The packaging is similar to the all other Lotus herbals sunscreens. The packaging is easy to use and there is no issue in this section. I had high hopes when I bought this but I was turned off with its performance. 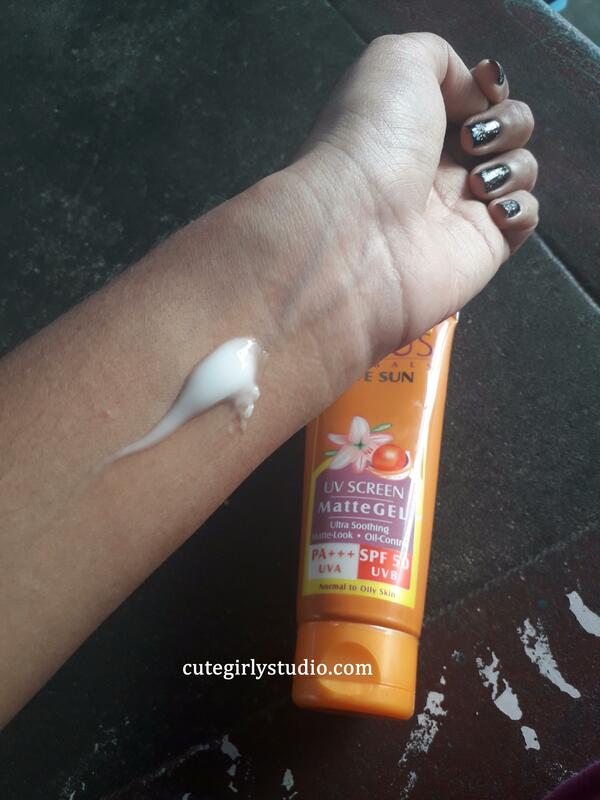 I used the Lotus herbals safe sun UV screen matte gel for the first time when I was going out. I applied this sunscreen before applying my BB cream. When I was blending the BB cream I felt the rubbery feeling and I didn’t care about that much and I went out. After returning home when I saw my face in the mirror, I saw some rubbery thing around my jawline. I thought that the issue was with the BB cream. The next day I was indoors and I used this sunscreen alone, this time no BB cream and no compact. After 20 minutes I just accidentally rubbed around my hairlines and I felt that the sunscreen is peeling. 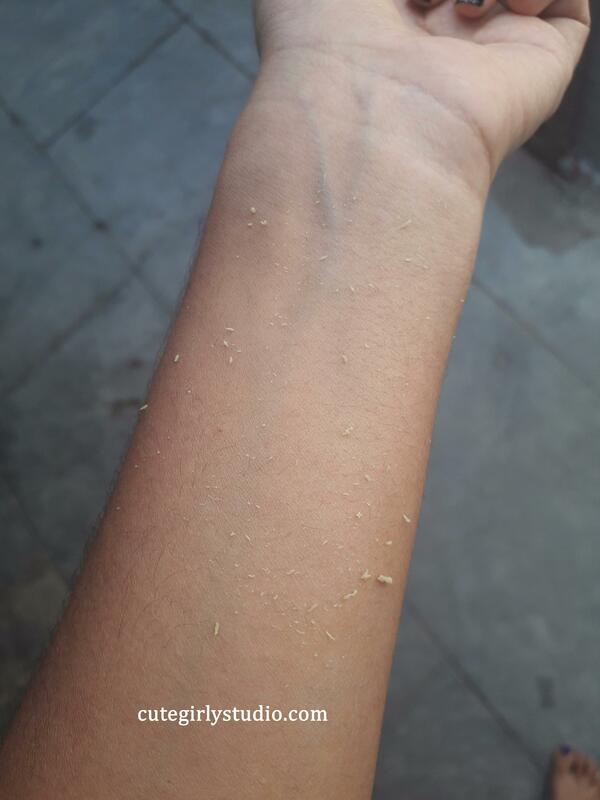 Then I gently rubbed all over my face and the just peeled. Even If I don’t rub my face, it starts to peel within 1 hour of application. I don’t find any use in applying such a peeling sunscreen hoping that it will secure our face from harmful UV rays. I gave this many chances but it turned out to be a dud product. Many reviews say that makeup goes on well above this sunscreen, but I can’t even think of it. I thought that it didn’t work for me alone but I came across a youtube channel, Where she mentioned that she too had that peeling experience with this sunscreen. If you wanna check it, you can see her Video here. Overall it didn’t work for me at all. 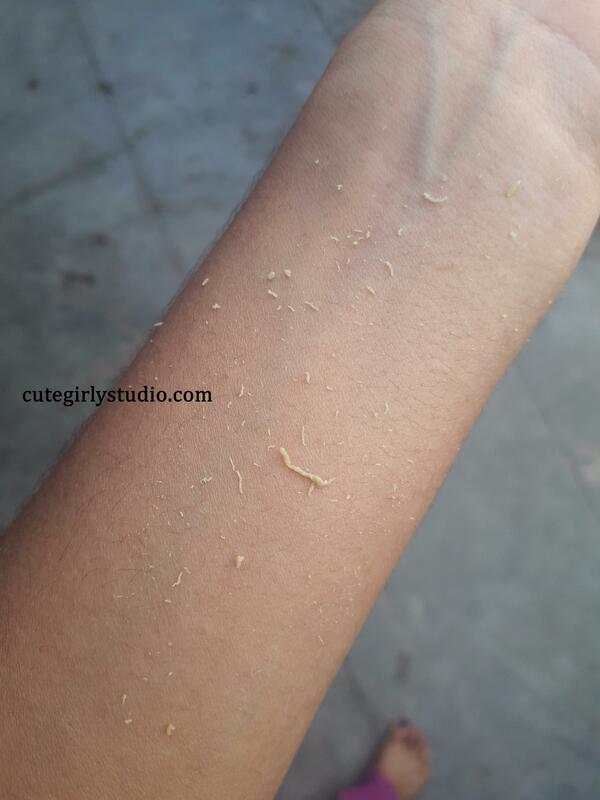 Sunscreen peels within few minutes of application. Has many ingredients that are more harmful than parabens. SPF 50 is of no use, I had a severe sunburn despite wearing this. I just shared my experience with this sunscreen. 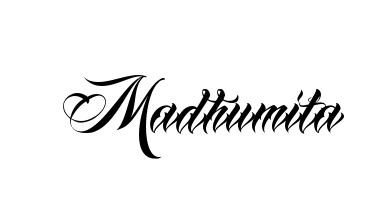 I’m not against any brand or product. At one time, I was almost buying it but was skeptical so I didn’t. It has a horrible formula, thanks for the honest review!